Meet 417-land’s brightest up-and-comers in 2016. For years, 417 Magazine has honored a score of 417-land’s brightest up-and-comers by sharing their efforts with readers in its 20 Under 30 feature. 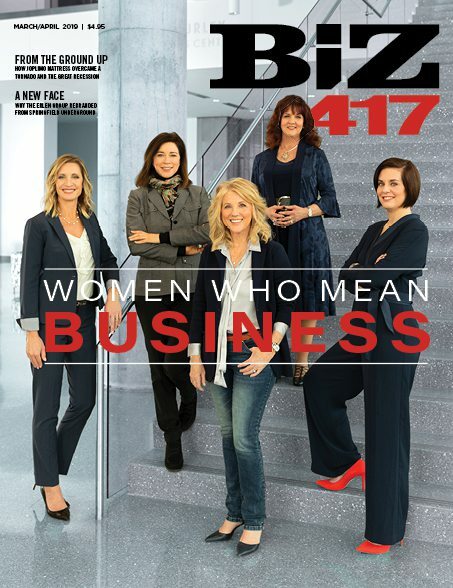 Now, Biz 417 has taken over the annual list and is highlighting 20 new faces. 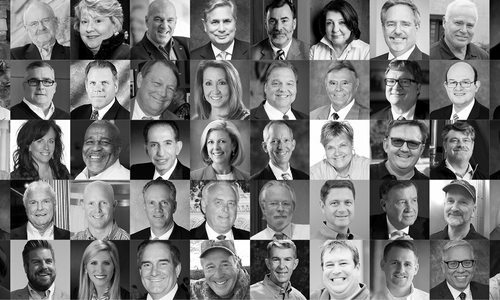 The class of 2016 includes finance whizzes, advertising and computer programming standouts and, of course, a healthy number of the entrepreneurs that help put Springfield and the Ozarks on the map. 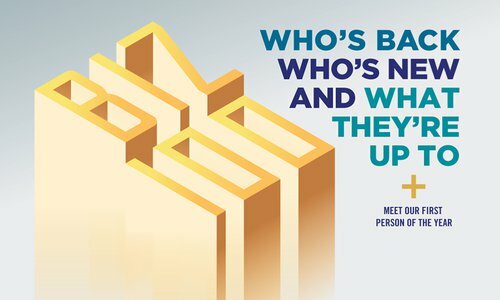 Let’s meet them. 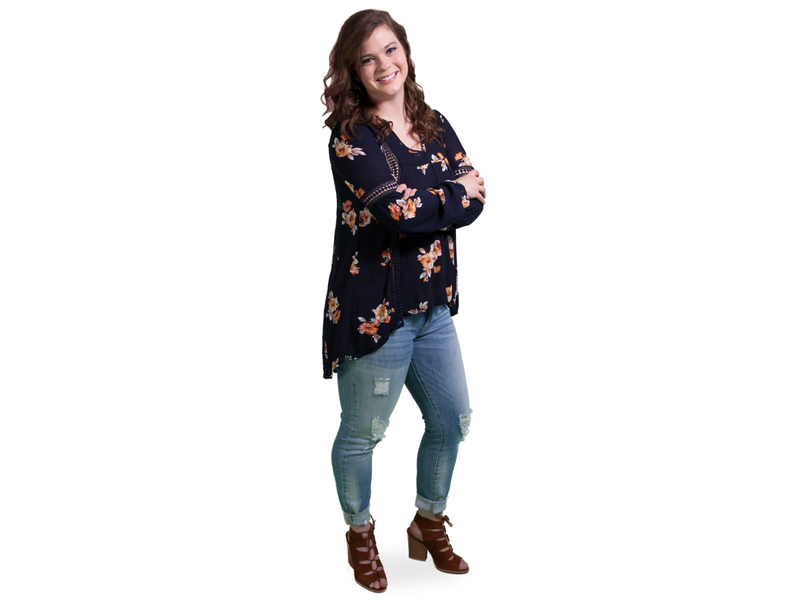 Sometimes a college major leads to a job, and sometimes a job leads to a major, which is what happened for Maranda Reynolds when she went to work as a programmer for Springfield’s Innovative Web Solutions at the age of 18. Fast forward a decade, and Reynolds leads development for Mostly Serious, one of the hottest tech shops in Springfield. Under her guidance, the company recently undertook a new website for CoxHealth, overhauled Noble Communications’ CultureWaves trendspotting software and rebranded and is expanding Cause Momentum (the nonprofit crowdfunding platform behind the $1 million Give Ozarks Day), a project Reynolds is particularly passionate about. In that spirit, Reynolds is co-founder, with Krista Peryer, of The Geek Foundation, a new nonprofit that seeks to teach people, particularly young women, how to code. Even in 417-land, Reynolds says, the gender and ethnic gaps in programming are very real, and by removing price as an obstacle she hopes the foundation encourages people to enter the field who might not have considered it before. A bit of a Renaissance woman, Reynolds also is a singer (she performed earlier this year with Shaun Munday) and an accomplished yogi (she teaches a Sunday night class at Live Pure Yoga). Not a lot of professionals—particularly in a field as crowded as dentistry—can walk in as a third-year graduate student and basically ask for (and get) a job at their employer of choice. But that’s what Dr. Derek Magers did when he introduced himself to Dr. Jeffrey Dorman at Ascend Dental Design. 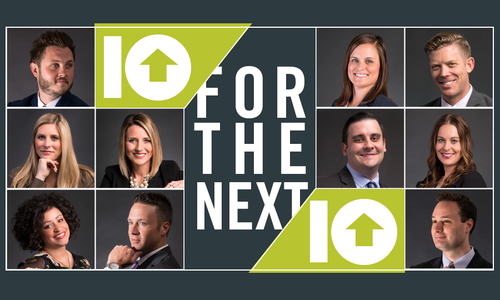 The two hit it off, and today Magers is a partner in the practice that not only aspires to be the best in Springfield but also a national leader in the industry. To that end, Magers currently is going through the rigorous three- to five-year process to become certified in cosmetic dentistry. Once finished, he will be the only dentist in 417-land to be an accredited member of the American Academy of Cosmetic Dentistry. “If you can put this certification behind it, it allows you to separate yourself as a business,” Magers says. A flawless customer experience and the satisfaction of Ascend’s dozen or so employees are also important to Magers. He has donated his free time to help those who might not be able to pay for dental care, previously at The Kitchen’s now-closed dental clinic and now by trying to help get a replacement for that service off the ground at Missouri State University. He and his wife, Emily, are currently expecting their first child. Pitching a media idea is sort of like throwing a dart at a dartboard,” says Emily Coulter, a member of the Marlin team who, among other assignments, works with French’s Foodservice to market a wide variety of their condiments. Coulter recently scored a bull’s-eye when she helped the company market its Cattlemen’s BBQ sauce and prepare sponsorship materials for the Memphis in May barbecue competition, which the brand sponsors. Resulting press was a boon for the brand. “I was excited they got a little bit of the spotlight,” Coulter says. Previously, Coulter worked on Marlin’s Starbucks account, helping the chain with seasonal item promotions (think Pumpkin Spice Latte). Coulter is a member of Junior League of Springfield where she currently chairs the project review and development committee, which helps decide which organizations JLS supports with its time and donations. She also spends every minute she can outdoors and loves to travel. 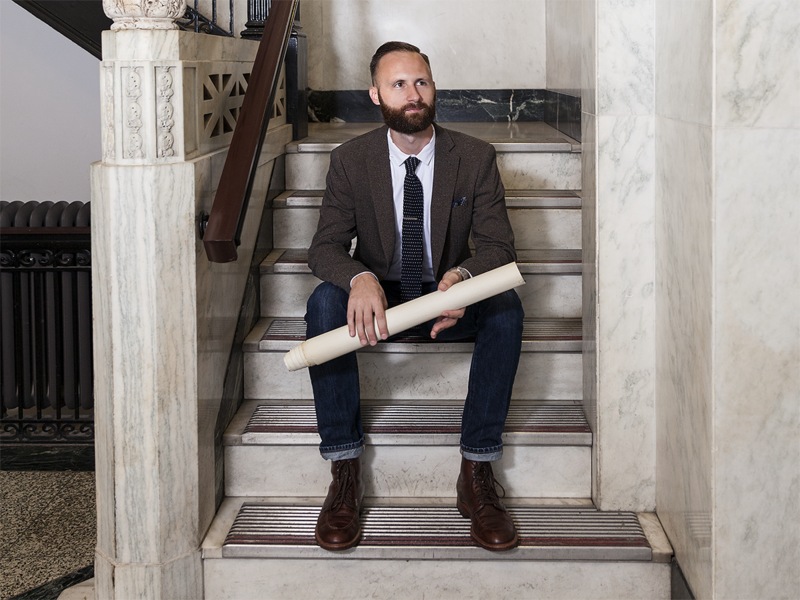 From the Casey Architecture offices in downtown Springfield’s Holland Building, Benjamin Hall can see the Springfield History Museum, a high-profile project he has helped Casey spearhead along with a number of other large-scale projects such as schools, hospitals and museums. But he has to look a little farther to see his projects that are making a major difference halfway across the world. As a co-founder of Formm (previously For Burkina), a nonprofit humanitarian organization, Hall and others work to educate underprivileged communities worldwide through innovative design and construction. 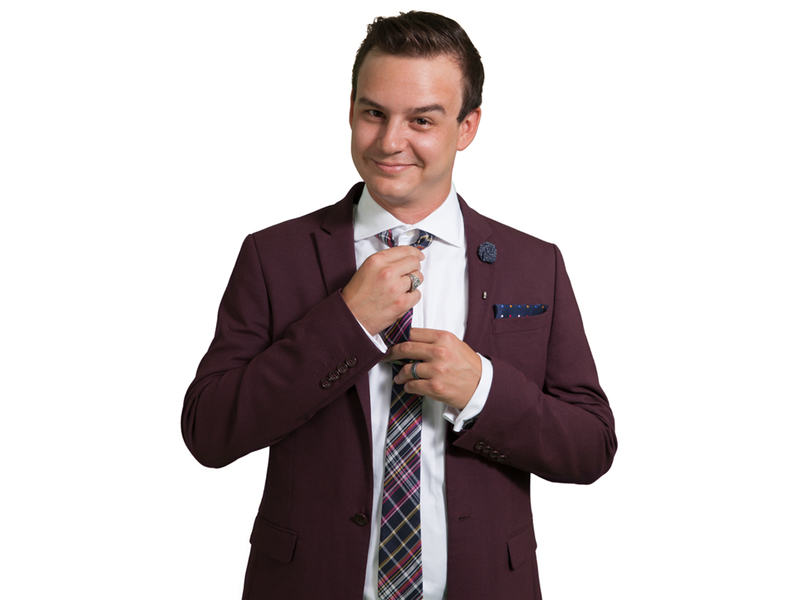 Hall and his team raised $32,000 and traveled to Burkina Faso to build the group’s first school, the completion of which he calls his proudest moment. Formm has plans to expand its efforts in Africa as well as begin projects in Latin America and the United States. While in Burkina Faso, Hall and other Formm team members were caught in the crosshairs of a terrorist attack, a harrowing experience that he says—unfortunately—got Formm a lot of unintended publicity and highlighted the extremes of humanity that exist in many places in the world. In addition to his nonprofit work, Hall is a Staff Sergeant in the U.S. Air Force. His biggest advice is to act on your dreams. “If you want to do something it’s a matter of just doing it,” he says. Much ink has been used maligning the term “student-athlete” thanks to eligibility scandals that occasionally emerge at large universities. Fortunately, those cases are a vast exception, and advisors like A’dja Jones are the reason why. Jones works with the Missouri State University track, cross country and swimming and diving teams, in addition to primarily freshmen and sophomore players on the football team. She helps with every aspect of their academic and athletic careers, including selecting classes, studying, managing practice schedules and acclimating to college life. “We try to empower students more than anything else,” Jones says. She serves as a staff senator at MSU and is a coordinator for SAFE (Student Athletes for Excellence), a program that brings athletes from different sports together to build leadership and career skills and work in the community. Jones, herself, volunteers for Isabel’s House in her free time. 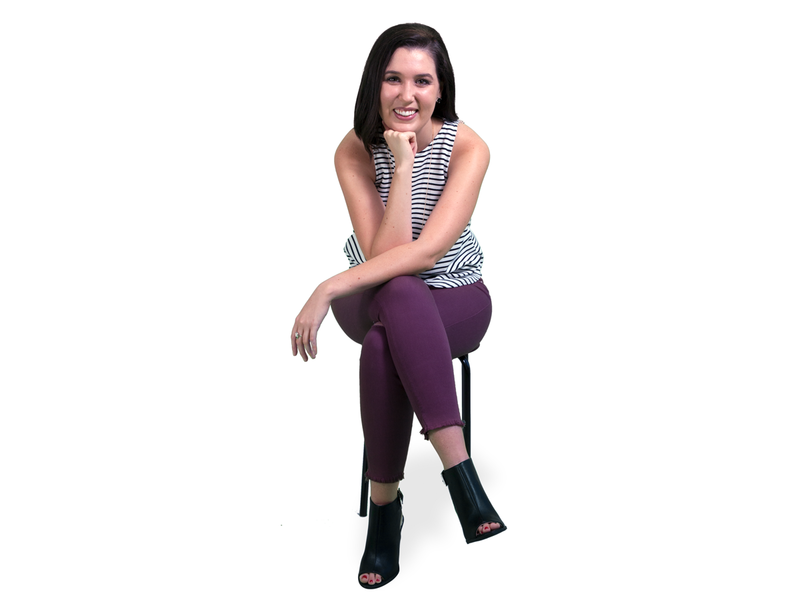 The Doniphan, Missouri, native credits her family as well as past and present supervisors at MSU for her success. And though she says she never originally saw herself working in athletics, she loves the opportunity it has provided her to grow at the university. “I think surrounding yourself with people who provide the right amount of challenge and support is the key to being successful,” Jones says. Necessity is the mother of invention, the saying goes. As a sophomore at Evangel University, Zach Terhark noticed one day that he couldn’t buy firearms on Craigslist. One weekend later, he and his brother Jeremiah had built a site that offered just that, the aptly named gunlistings.org. That site, and an accompanying online ammunition sales site, took off. When he sold gunlistings.org in 2012, he was able to open Eagle Armory, a firearms retailer in Springfield. A second location in O’Fallon opened in 2015. Growth since then has been explosive, so to speak. “I didn’t realize just what the economy for firearms in Springfield was,” Terhark says. Terhark’s success has been through watching competitors like Amazon to see what they do right or wrong. To keep overhead low, he waits for a customer to ask for a specific product before he’ll carry it. The firearms industry is also one with a lot of important legal procedures. “If you make a mistake, you can have a pretty bad impact on the ability of the AFT [Bureau of Alcohol, Tobacco, Firearms and Explosives] or police departments to do their jobs,” he says. Terhark is active in the Springfield community, personally in Rotaract and the Springfield Area Chamber of Commerce and through Eagle Armory, which has sponsored the Southwest Missouri Cattle Baron’s Ball and a benefit for officer Aaron Pearson, as well as the Missouri chapter of Ducks Unlimited. Missouri State University’s The eFactory is arguably the most important program the school has developed in recent years. And Brian Kincaid is a driving force behind the program’s success. Tasked with getting the project in motion as a graduate student in 2009, Kincaid, who has a finance background, admits that managing the renovation of an old turkey processing plant into a state-of-the-art building—and then running it—seemed professionally daunting at first. But with the help of strong mentors and the Springfield business community at large, his career has flourished along with The eFactory. “I’m a big fan of not turning down a good opportunity,” Kincaid says. 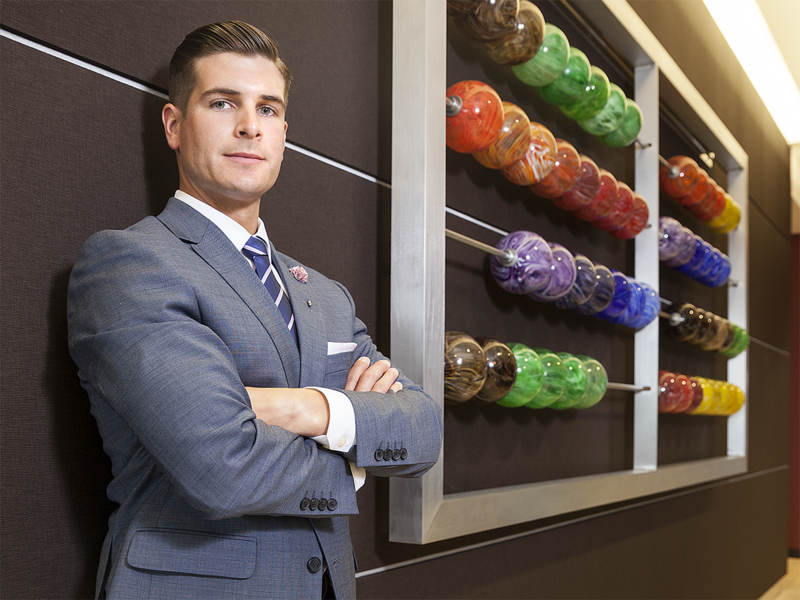 “What I’m proudest of is client success stories and how our programs have evolved,” he says. He points to economic impact data and the new business accelerator program as evidence that The eFactory is nimble and responsive to the needs of the entrepreneurial community and is making a difference. He currently serves on the Idea Commons Planning Committee, the body tasked with developing the larger 88-acre tech and entrepreneurial campus on which The eFactory sits. He also serves on the Missouri Economic Development Council and the International Business Innovation Association, coordinates the Missouri Public Affairs Academy and is an advisor for the entrepreneurial strand of GO CAPS, which he calls a point of pride for The eFactory. For every nonprofit gala you attend, there’s a hardworking employee who puts in countless hours to make it happen. For Habitat for Humanity of Springfield, MO’s annual Tool Belts & Bow Ties gala, that person is Abby Glenn. Last year the fundraiser grossed nearly $90,000, enough to build an entire habitat home from the ground up. Additionally, Abby coordinates Habitat’s efforts on Give Ozarks Day, as well as an annual fun run, poker tournament and Hearts & Hammers event. 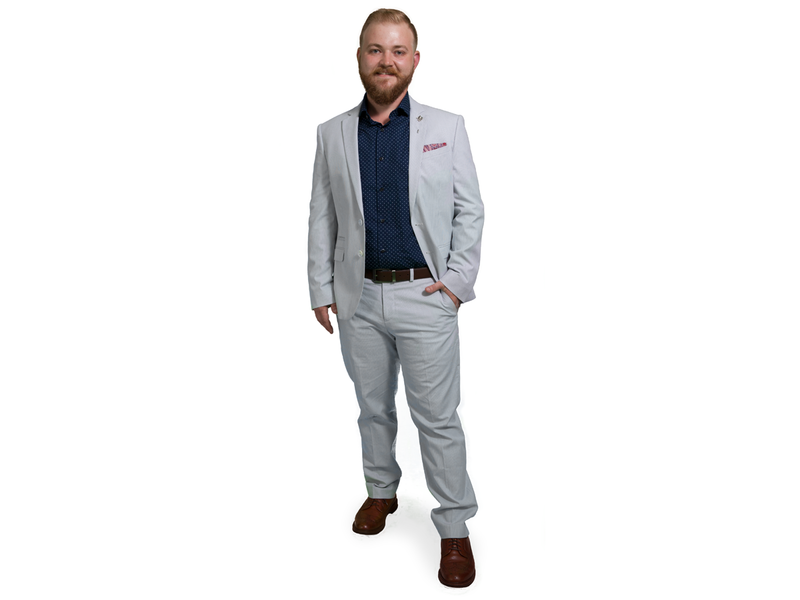 This summer Glenn began a year as professional development director in Springfield Rotaract’s officer rotation. She’s also in her third year as a member of Junior League of Springfield where she has spent time working with families at the Robberson Community School. When opportunity knocks, Whitley Lane answers. 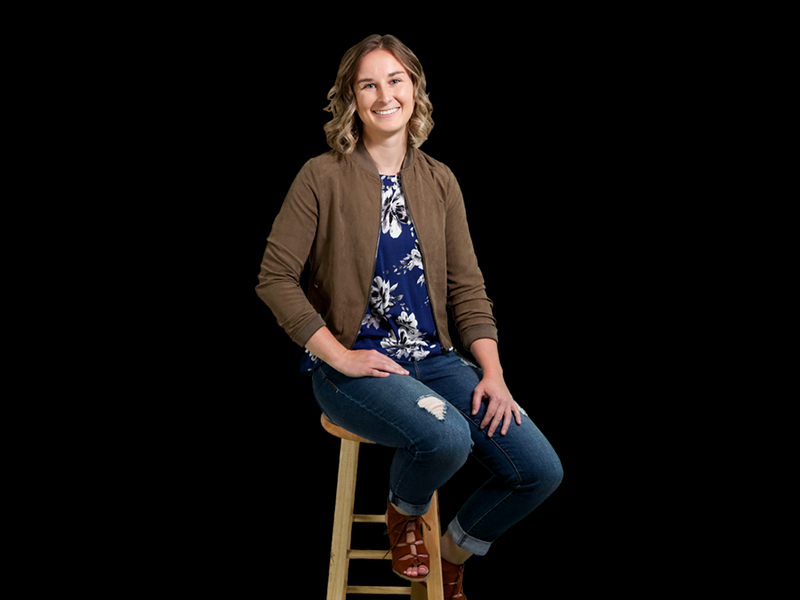 At the age of 19, while she was working at O&S Trucking to help pay for college, she was promoted to manage payroll and employee benefits for the company. 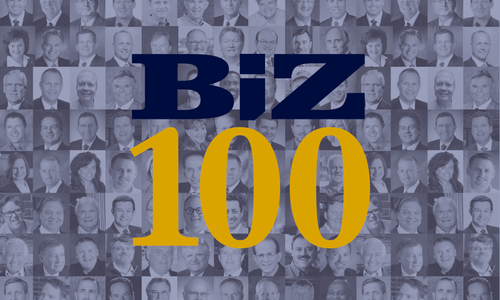 It started a love affair with HR, which she now runs for two regions of Bear State Bank (formerly Metropolitan National Bank) and 200 or so of its employees at 19 branches in Missouri and Arkansas. Lane’s biggest mission and passion is finding the best employees. “It’s a talent-driven world, and it’s a competitive market,” she says. “My goal is to make us that employer of choice and get that word out.” For example, Lane recently helped introduce perks like 12 weeks of paid parental leave for both new moms and dads. As her job would indicate, Lane likes meeting new people and helping them grow and flourish while also achieving Bear State Bank’s goals. Outside of work, she’s a member of the Springfield Area Human Resources Association and volunteers for Big Brothers Big Sisters. She and her husband, Garrett, are expecting their first child this fall. Thanks to the Great Recession, widespread suspicion of Wall Street and the “Summer of Brexit,” you might wonder why anyone would want to work in the financial services industry. 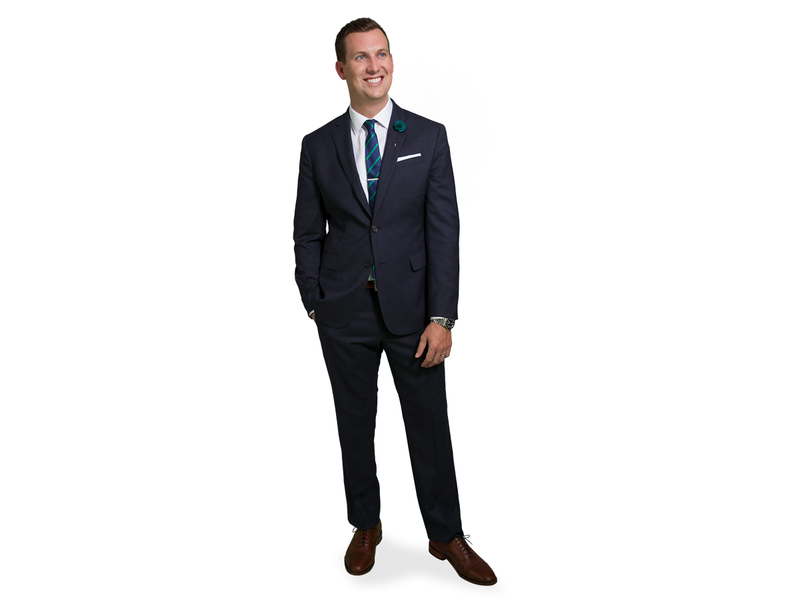 Travis Liles has a two-word answer: the clients. Another passion of Liles’s is connecting with the community. He recently completed a year as president of the Springfield Little Theatre’s Associate Board, which seeks to promote the theater to young professionals and families. He spearheaded a high-profile roast event and the annual Curtains & Corks fundraiser, which saw record results in 2015 and 2016. Like any engaged young professional, he spends a lot of time reading. Anything about the 2016 presidential election (particularly its rumored effect on the markets) or Springfield city news is sure to catch his attention. “I’m really fortunate to have a supportive network of folks who have helped me grow in the community,” he says. The influence of the faith community in 417-land cannot be overstated. So in her position as give back director for North Point Church, one of the area’s largest congregations, Jody Glazner has a unique ability to influence how faith is perceived by the community. Glazner’s goal: to help establish a dream center, what she calls a “hub of hope,” where community members can have access to programs including social services, counseling and rehab and other needs currently scattered across town. Despite her hyper-local focus, Glazner also has spent time both coordinating and participating in North Point mission trips, which have included ventures to the Dominican Republic, Haiti, Ethiopia and more. “I will keep going wherever I can to help the most people,” she says. As a “safety net provider,” Ozarks Community Hospital Health System benefits those who might not have access to other medical care. As its main communicator, Andrea Harp makes sure the hospital’s message gets out and that its 700 or so employees, who cover much of southern Missouri and northern Arkansas, remain connected not only to the hospital but also to the communities they serve. A current major priority is integrated care that focuses on a patient’s symptoms and the underlying causes for their ailments and pairs patients with case managers to find the best course of treatment. Harp also strives to convey a message of trust and accessibility among the health system’s 16 clinics and their communities, a vital step to making sure rural patients seek the care they need. “I’m honored to get to tell the story of a health system I believe in so much,” Harp says. And it’s a story she has told well since joining the hospital in 2010. In 2011 she received the SWMO Public Relations Society of America’s Rising Star award for outstanding young professionals. Harp—who recently returned from extended leave caring for extremely premature twins, Ainsley and Alexandria, born last fall—still finds time to work with HOPE Connection, a service for Springfield’s homeless population, and GO:61, which combats human trafficking. For six years, Garrett Lowder has helped Nixa fourth graders learn and embrace the STEAM (Science, Technology, Engineering, Arts and Mathematics) curriculum employed at Nixa’s John Thomas School of Discovery. 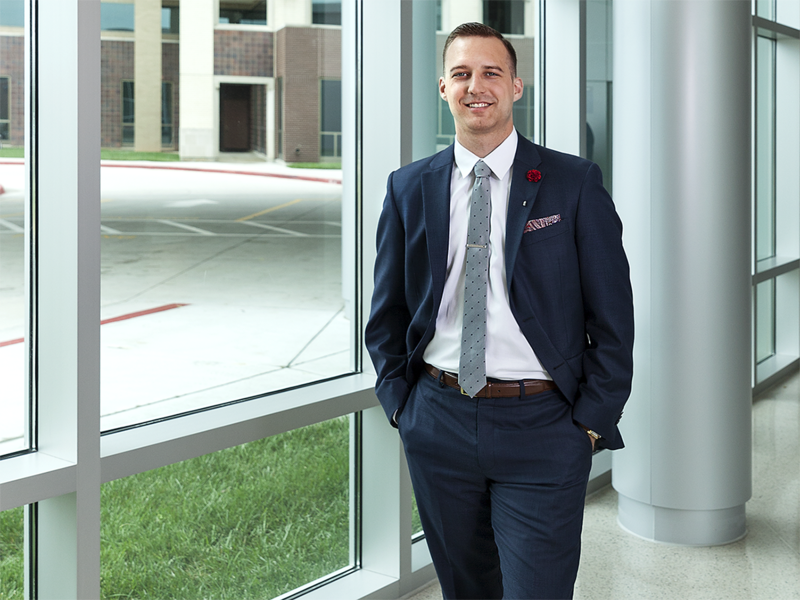 Starting this fall, he is helping all students in two of the growing district’s buildings do the same thing in his role as assistant principal. STEAM is project- and inquiry-based learning, which challenges students to engage in real problems and, through technology, prepare for the kinds of situations and problems they’ll be asked to face in the real world. For example, Lowder’s students a couple of years ago solved an erosion problem on the Thomas campus, complete with an action-plan presentation to administration and negotiations with local businesses for supplies. While still a teacher, Lowder presented on STEAM practices at national conferences. 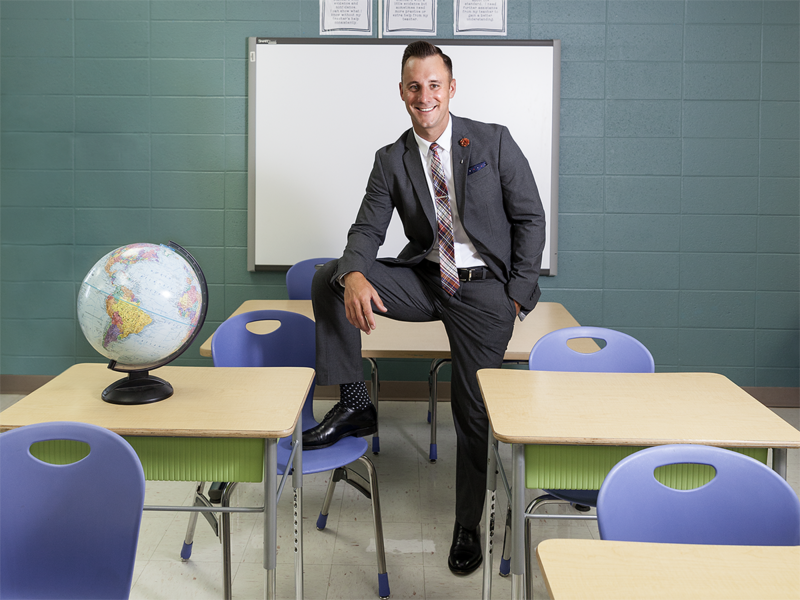 Although he’s sad to be leaving the classroom, Lowder is excited to impact more students as assistant principal at both Thomas School of Discovery and Inman Elementary. He’s also working on his doctorate at Southwest Baptist University with hopes of moving up in administration at Nixa, where he says he works with the best teachers and administrators in the world. When you graduate with a degree in interior design at the height of the worst recession in decades, you quickly learn to ad lib. Fortunately for Shailey Murphy, that skill paid off in the form of an entrepreneurial streak that today takes her and her husband, Jonathan, around the world to shoot videos for clients that include the Assemblies of God, Convoy of Hope and others. 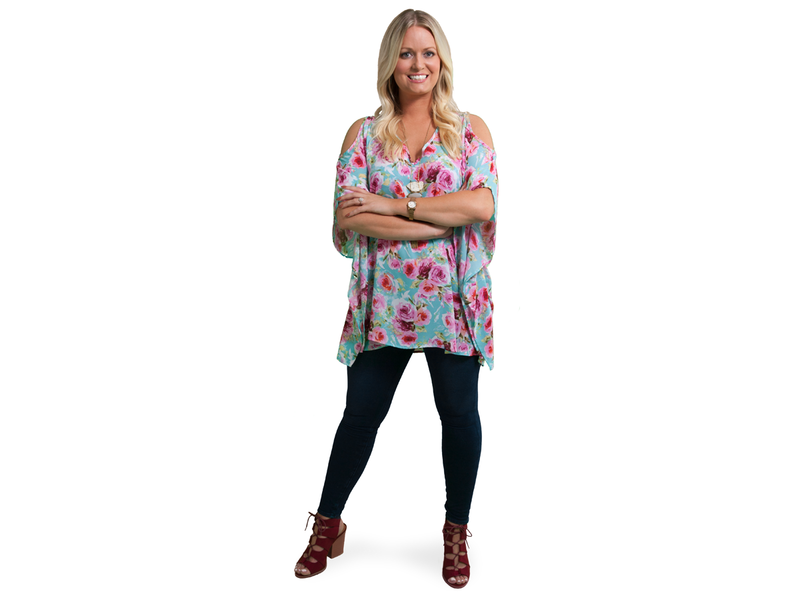 In her role as creative consultant, Murphy is essentially the face of the agency, working with clients to conceptualize the ad or video that Jonathan and the company’s stable of videographers and editors produce. The couple also worked in 2011 on Man Up and Go, a feature-length documentary produced with Randy and Shannon Bacon about a group of local men who went to Africa to help address the orphan crisis. In her free time, Murphy has volunteered for North Point Church, I Pour Life and Great Circle. 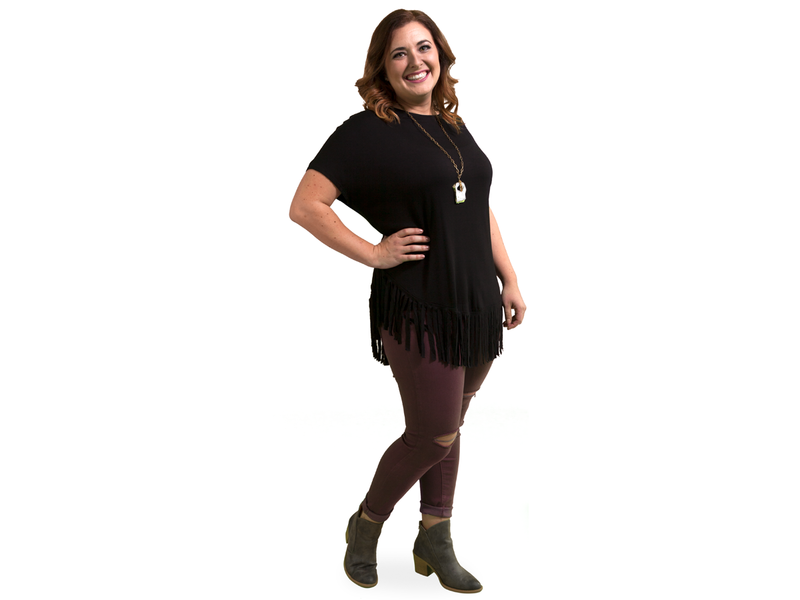 She is also co-host, along with Katie Day, of Shailey & Katie: The Podcast, a DIY, design and creative entrepreneur podcast that you can download on iTunes. Talk about things coming full circle. Tabitha Eutsler attended grade school at Jeffries Elementary in southwest Springfield. Two decades later she’s now a teacher at the school, making the lives of students better each and every day. But as any teacher will tell you, it’s not all hugs and notes. Education is changing, and Eutsler says navigating the current educational landscape—changing technology and methods that require finding what’s right for each student—is a big challenge. Outside of the classroom, Eutsler is a sponsor for the Jeffries Student Council, where she has helped kids in kindergarten through fifth grade execute fundraisers for CASA and the Leukemia and Lymphoma Society. She also helped students develop live-action PSAs for the school’s safety night, which they presented for parents and neighborhood firefighters. Here’s a stat: currently there are 20 million people in the United States alone in need of speech therapy, but fewer than 150,000 licensed therapists. Enter DotCom Therapy. 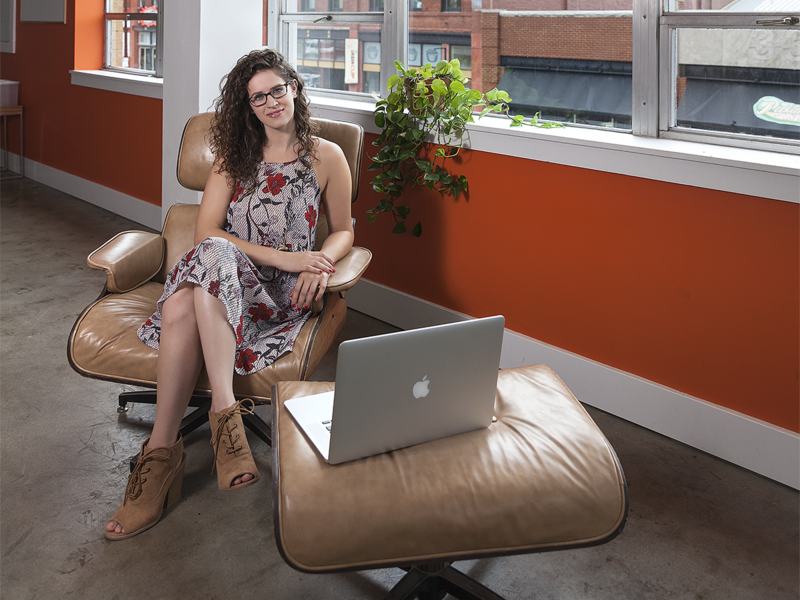 Rachel Robinson and her partner, Emily Purdom, started the business in early 2015 when they decided online therapy could be just as—if not more—effective than in-person sessions. Today DotCom Therapy employs 20-plus therapists across the country who work with schools and individuals around the globe. Many of their clients, from ages 3 to 84, are in rural places, where the urban concentration of therapy professionals simply isn’t accessible. DotCom Therapy is adding occupational and behavioral therapy services as well. Robinson’s background is working with adult speech patients, including those affected by Parkinson’s Disease, stroke and other brain injuries. “Being able to work with patients and hear them say ‘I love you’ to a husband or wife for the first time is huge,” she says. In August, Robinson and Purdom spoke at the 30th World Congress of the International Association of Logopedics and Phoniatrics in Dublin, which Robinson calls incredibly exciting. She and her husband, Tim, spend a lot of time exploring downtown (where DotCom Therapy recently opened its first office) and supporting the Springfield Rugby Club. 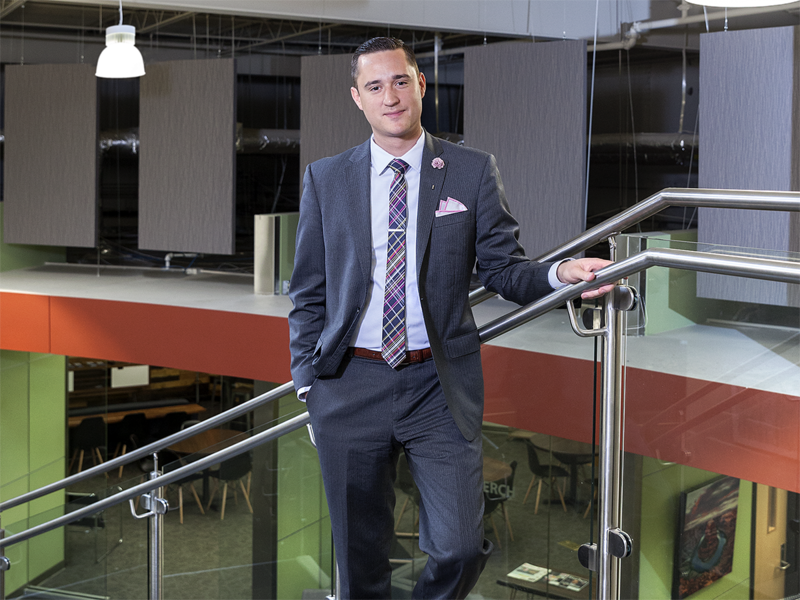 For Joshua Sullivan, advertising is all about making connections. The senior art director for The Alchemedia Project, a Springfield-based ad firm specializing in business-to-business food service work, got his start designing CD covers and T-shirts for bands in college. A planned MBA turned into an associate degree in graphic design, and the rest is history. Stints in Florida and Texas led Sullivan to Missouri where he worked for O’Reilly and then design shop The Team before landing at Alchemedia several years ago. 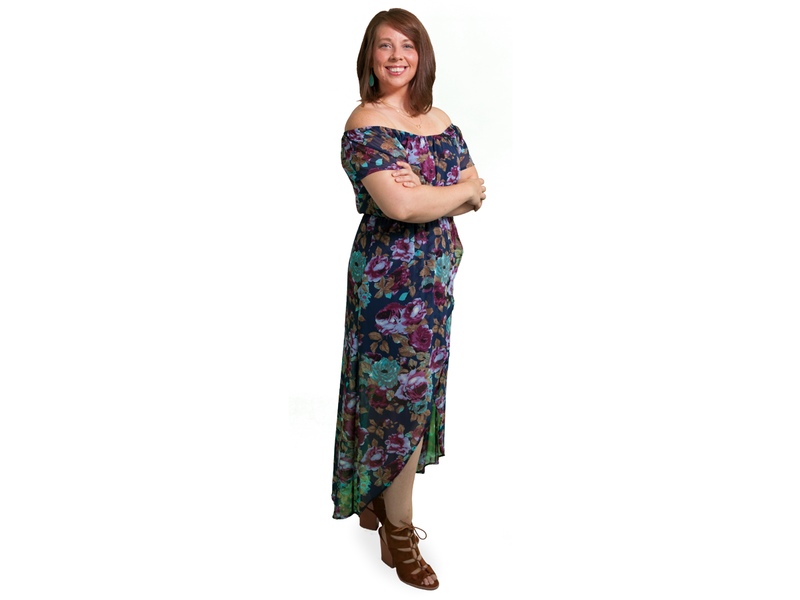 Now Sullivan manages multiple designers and works on accounts including Unilever and McCain Foods. “Advertising is often the best place for people to make an emotional connection with graphic design,” he says. And though the job of an art director is often more conceptual than actually creating a look, he says he enjoys the problem-solving nature of the business. Sullivan serves on the marketing committee for the Foundation for Springfield Public Schools and on the board of Springfield Creatives, where as special events chair he helped bring Portland, Oregon–based designer Aaron Draplin to Missouri State University to speak, a huge draw for local creatives. He’s also done branding work for downtown businesses such as Scotch & Soda and Druff’s. Think about your checkbook. Sometimes it’s difficult to balance, right? Now think about setting and sticking to a budget for a $1.3 billion healthcare provider. John Chastain has been doing this job since he was 26. “[Our department is] like your financial planner, but instead of trying to maximize the growth of assets in your retirement account, we use financial models to determine what investments provide the maximum return for our patients and community,” Chastain says. This can include deciding where to build CoxHealth’s next clinic or, as has been the case in 2016, dealing with the skyrocketing costs of drugs and pharmaceuticals, which are increasing significantly year-over-year. Familiarity with programming and tough decision-making are also a big part of the job. “You can’t feasibly invest in every project, especially in an era of declining reimbursement,” he says. “But you do hope the decisions we make strengthen the position of the health system to continue to improve the health of the communities that we serve.” Chastain says he enjoys the chance to bring a fresh perspective to CoxHealth and feels fortunate to work at an institution that values its legacy and provides excellent guidance to its young leaders. In his free time, the Marshfield native coaches girls’ soccer for an area traveling team that practices up to three nights a week and travels every weekend in the fall. As a survivor of domestic abuse herself, Felicia Rose didn’t arrive at her job at Harmony House on the easiest of paths. 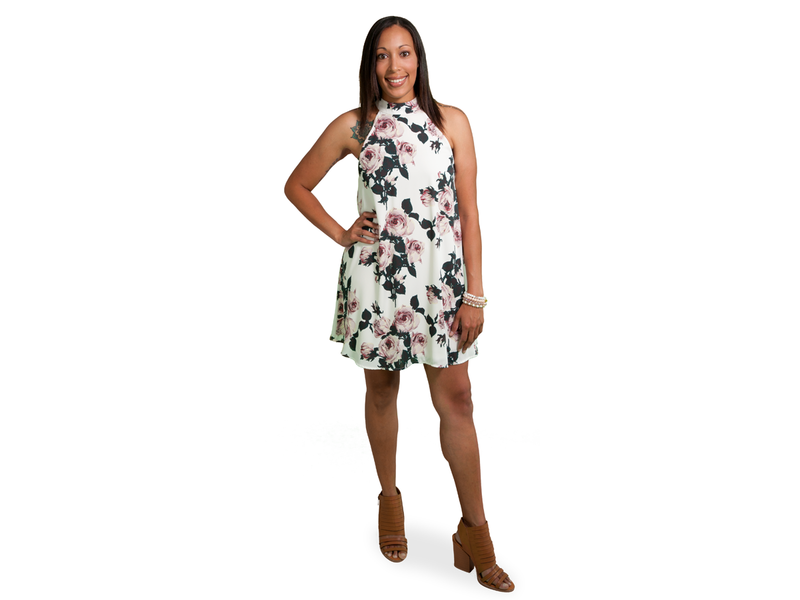 But her personal journey is the reason she’s so passionate about the nonprofit’s mission and is driven to help the women and families who seek shelter there. After starting at Harmony House as a volunteer and then a case worker, Rose now supervises the 100 or so weekly volunteers it takes to operate the 110-bed shelter, which is in the process of moving to a new larger location that will increase programming and capacity, and thus the need for volunteers. Rose also assists with donor development and events for Harmony House. Previously active with community groups including Stand Against Trafficking and the Ozarks Fighting Back Committee, Rose is currently completing a master’s degree in Nonprofit and Civic Leadership at Drury University. With that under her belt, and drawing on her own experience and the strength of the clients she has helped at Harmony House, Rose has grand designs for her role in combating abuse and violence at the community level and beyond. Early childhood care is simultaneously a very personal decision and big business. As CEO of Little Sunshine’s, it’s Nicole Carr’s job to help her company walk the line between the two. With a business degree from Missouri State University, Carr succeeded founder Rochette Dahler as CEO earlier this year after working her way up in the organization. 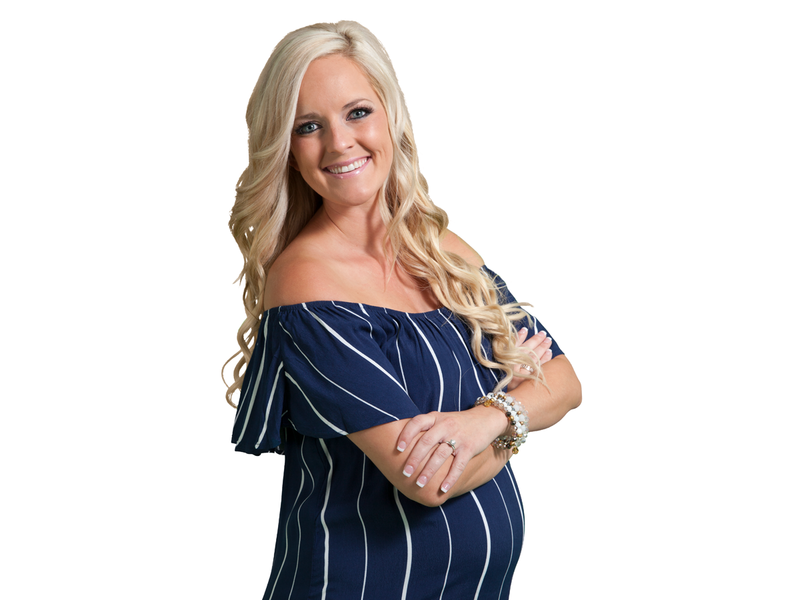 It’s a busy time at the company; with 14 current locations stretching from the Midwest to Arizona and sights set on nearly doubling that number in the next year, Little Sunshine’s is a growing national name in childcare. The biggest challenge, Carr says, is putting the right people in the right places by balancing experience in early-childhood education with passion for the job. She says the close-knit, family atmosphere is Little Sunshine’s biggest strength. Carr and her husband, Andy, also are involved with the Pediatric Brain Foundation, for which Little Sunshine’s is the national corporate sponsor. The organization works to help find cures for neurological disorders in small children. 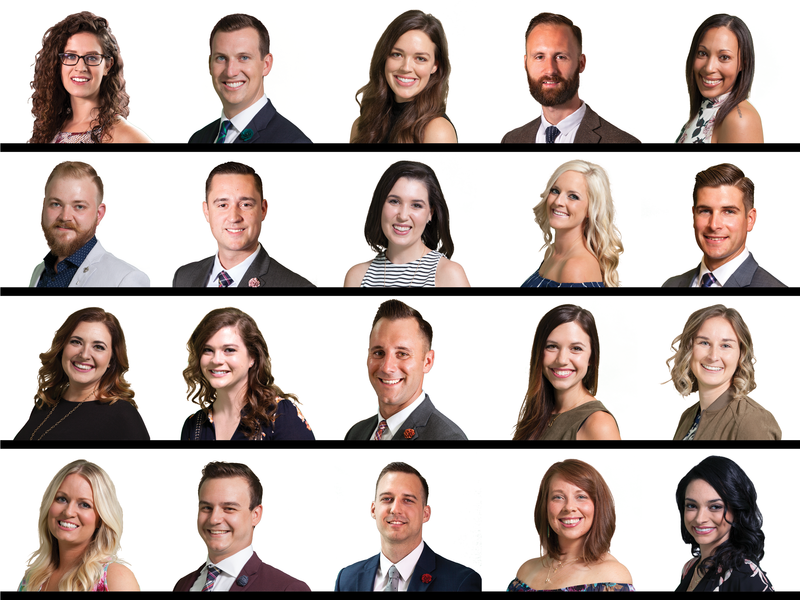 Watch out for these 10 change-makers who are carving out a new identity for 417-land.